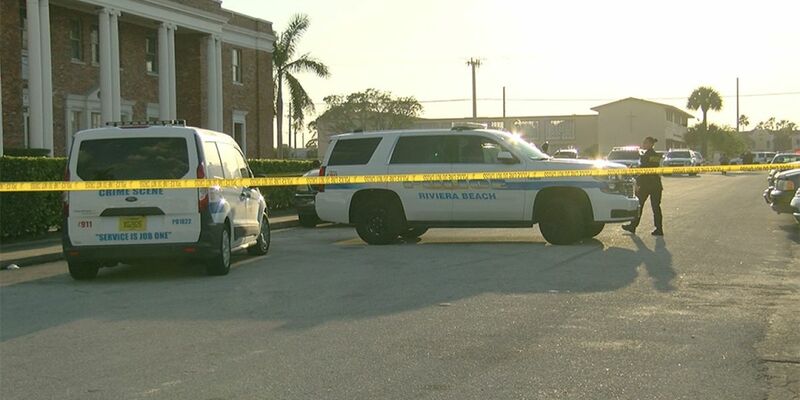 RIVIERA BEACH, Fla. — Riviera Beach police say one person has been detained in connection with a deadly double shooting. Police said an adult man and woman were shot around 6 p.m. Wednesday on West 22nd Street. The male victim ran to a nearby business on West 21st Street, and was eventually taken to the hospital where he died from his injuries. The female victim was also taken to the hospital, but her injuries appear to be non-life threatening, according to police. Detectives are now questioning the person who's been detained. No other details, including what led up the shooting, have been released. If you have information that can help investigators, call the Riviera Beach Police Department at 561-845-4123, or Palm Beach County Crime Stoppers at 1-800-458-TIPS.